While the great American South and West keeps their bikes out year round, the rest of the country — including the home base of Polaris and Indian Motorcycle in Minnesota – hide their beloved rides safely away until winter gives way to sunshine. 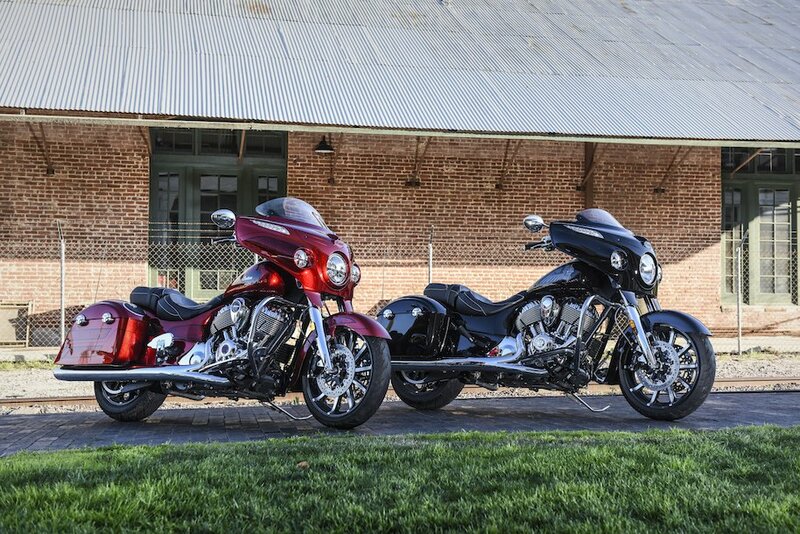 As though celebrating the coming of Spring and the return of riding season, Indian debuted two new baggers — the new Chieftain Limited and Chieftain Elite. During a late winter press ride, Indian Motorcycle gave journalists a chance to try out both new machines. Each bike offers new styling cues and step down a peg in size from Indian Motorcycles biggest touring bikes, settling nicely in between builds like The Roadmaster and the sporty Scout or Scout 60. A look at the Chieftain Limited and the Chieftain Elite reveals a sleeker, more stylized line. Both bikes offer a lower profile and position the rider’s center of gravity lower than their bigger sisters in the touring line. In keeping with design traditions found in classic baggers, Indian Motorcycle installed a new, 10-spoke 19 inch wheel with a matching 16 inch wheel. The Chieftain Elite is a limited edition bike intended for the true Indian enthusiast — the kind of rider who’d rather die than wear orange and black and ride a bar and shield. Only 300 Elites will be built for sale. It features custom Fireglow Red Candy with Marble Accents paint, all completed by hand. According to Indian, it takes a small, specialized team “over 25 hours to hand paint each bike.” The Elite also comes with a Pathfinder LED headlight and driving lights, a flare windshield, a passenger floorboards and a 200-watt premium audio system. 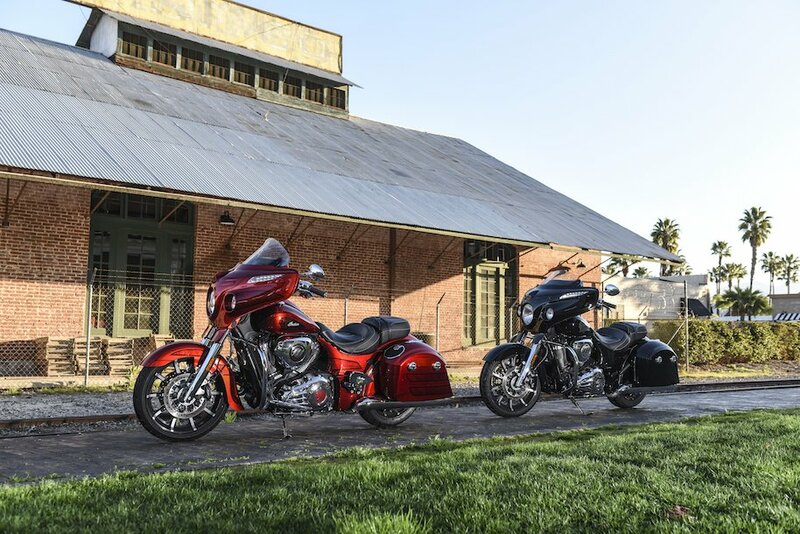 Both bikes offer a powerful Thunderstroke 111 engine with 119 ft-lb of torque. The Chieftains also sport the Ride Command, seven-inch infotainment system, key-less ignition, remote locking saddlebags, anti-lock brakes and power adjustable windshields. 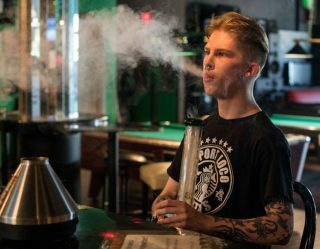 The only quibble this reporter would make is I’d love to see what these bikes looks like and how they ride without that big fairing and windshield build attached. 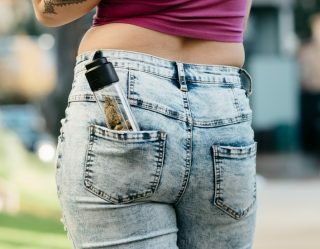 I imagine the reduction in weight would make both even more enjoyable on the road. 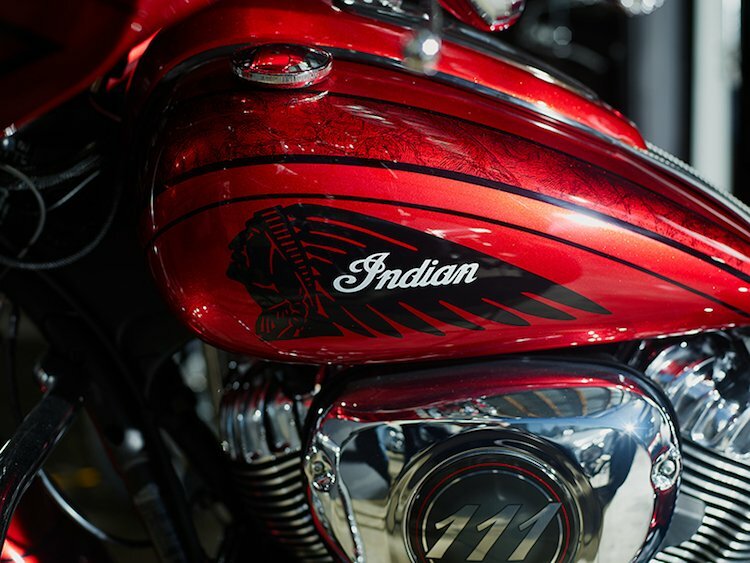 Then again, in fairness, such a design might just recreate something akin to the already existing Indian Chief. Aside from that flight of fancy, both the Indian Motorcycles Chieftain Limited ($24,499) and Chieftain Elite ($31,499) are special machines. Obviously, the buyer pays for all exclusivity — but both bikes are objects of desire and perform in keeping with the image.